Impressive cottage with private pool and spectacular views on the outskirts of Porreres, where 6-8 people find their second home in Mallorca. 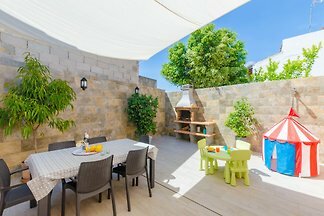 The Majorcan traditional way of building although renewed in a modern and refined style characterises this town house that will delight up to 4 people. 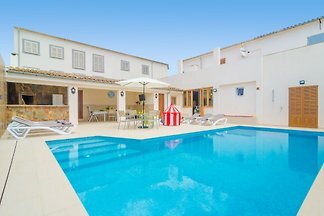 Amazing and typical Majorcan house, Villa Son Calderó, with a private swimming pool, huge garden and BBQ. Rent successfully your holiday flat or holiday home in Porreres in only 20 minutes !